Watching Wimbledon is typically how many tennis players get inspired to take up the game. For Phoenix junior player Savannah Slaysman, that was exactly what prompted her as well. Except her Wimbledon wasn't filled with Serena Williams or Maria Sharapova, it was the 2004 Hollywood romantic comedy about the venerable event, starring Kirsten Dunst and Paul Bettany. At just seven years old, the movie had a captivating and motivating effect on the young Slaysman, and she was soon out batting balls around, trying to turn into something of a modern-day Lizzie Bradbury (Dunst's character in the movie), without all the drama. Also like the Bradbury character in the movie, the cameras have been rolling on Slaysman from the start, as she's been a consistent force in the Southwest and bationally, almost always in the winner's circle. The 17-year-old has been of the steadiest juniors in Southwest history, typically among the top-ranked players in her age group in the Section each year. But totally unlike the Bradbury character who was more the hotheaded, tempestuous, snooty, solo flyer-type - Slaysman's been a quiet assassin with a sweet, downhome smile, and she's done quite well with her friends, as a perennial trophy picker-upper in high-level doubles events. Laconic and cool, and with a demeanor that rarely changes or shows much emotion, Slaysman just gets the job done, so much so that she's currently sitting as the No. 1 junior in the Southwest combined rankings (singles/doubles). 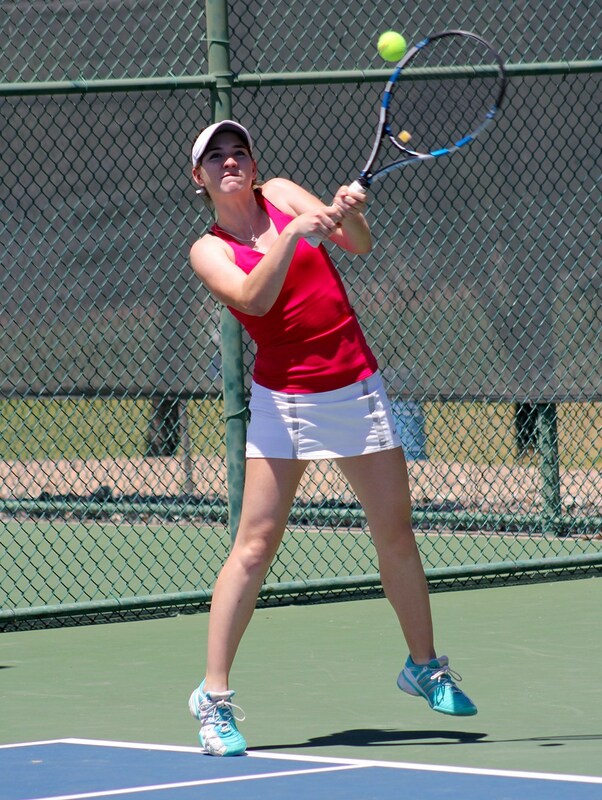 Just as impressive, she was recently named the 2015 Sportsmanship Award winner for USTA Southwest. Slaysman's top national results have usually come in doubles, where her touch and adeptness around the net, as well as her steady serve return have been showcased. She's earned three gold balls at national tournaments, including the 2012 Easter Bowl (Girls 14s) , 2013 USTA International Spring Championships and 2013 USTA Girls Hard Courts (Girls 16s) . She also captured the US Open Southwest Section Qualifying Tournament doubles title with longtime partner Allie Sanford this past summer. Slaysman, who will turn 18 on New Year's Eve day, will be heading off to college in fall of 2016. The good news for her is it will be a short trip down the road, as she's already signed to play for her hometown school, Arizona State. A Sun Devil fan since childhood, she'll soon be sporting the marroon and gold and continuing on with the sport. That sounds like a movie ending if there ever was one. We recently visited with Slaysman and got the skinny on how it all got started and what she's got planned for tennis in the future. USTASW: How did you get started in this sport - do you remember those first few times at all? SS: I actually saw the movie Wimbledon and it made me want to try out tennis. When I was seven years old, my grandma took me out to play. She was a P.E. teacher at a junior high school at the time and I would go practice with the tennis team every day after school. USTASW: What's been your top tournament experience since you began competing? SS: I have had many great tournament experiences over the years, but I would say that my best experience was at the National Hard Courts in San Diego a couple of years ago. Billie Jean King spoke at the player meeting before the tournament and I got the chance to meet her. Also, my doubles partner and I had a great run and ended up winning the tournament. It was a really special experience for me. SS: I don’t remember the name of my first Southwest tournament, but I think it was in Tempe. I was about eight years old and I just remember getting destroyed. I barely won any points, but I had a lot of fun. SS: I definitely want to have a successful college tennis career. After college I would like to travel and play pro events for fun and experience. SS: I like to hang out with my friends and family, hike, bake, and watch my favorite TV shows on Netflix. SS: My favorite tennis pro is Roger Federer. He is just so classy and has an incredible all around game. I would honestly probably freeze up at first if I ever met him, but it would be an unforgettable experience. USTASW: Have you played in any ITF junior and women’s pro events? If so, where were they held, and what's been your favorite destination/tournament? SS: I have played in some ITF junior tournaments. My favorite tournament is in Atlanta, GA. One of my mom’s best friends lives in Atlanta so we always stay with him, which is really fun. 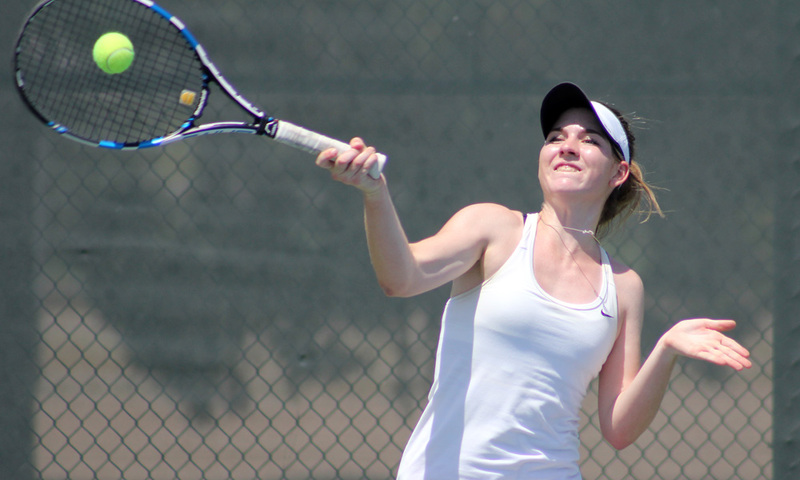 USTASW: You head off to college next year are you excited about playing tennis in school? SS: I actually just signed to play for Arizona State. I am so excited because playing for ASU has always been a dream of mine! Most of my family graduated from ASU, so I was pretty much born a Sun Devil. Arizona State has everything I would want in a university, and I am really looking forward to having a great college experience.